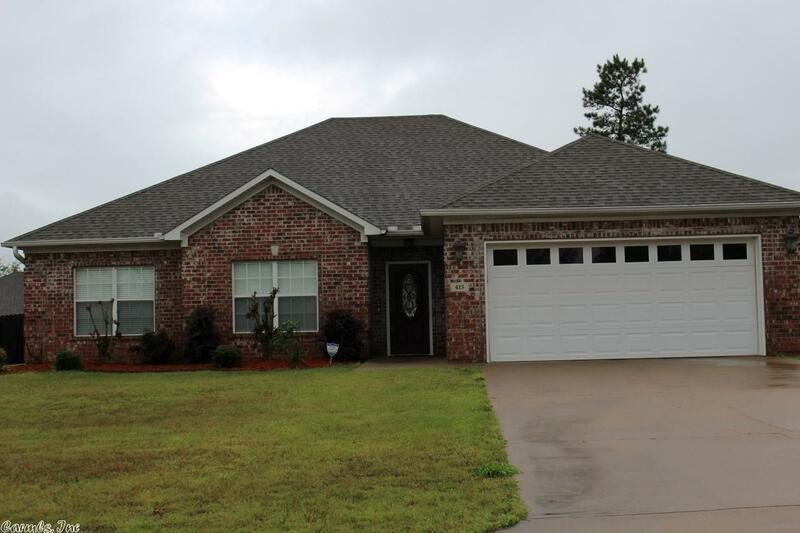 1 level brick on level lot .High ceilings, Crown molding, Hardwoods , Tile and carpet. Lots of Windows. Spacious Greatroom that opens to the kitchen.Tiled Breakfast bar , Kitchen/Dining combo w/ lots of cabinets , tiled floors and stainless appliances. Split bdrms with small desk area off greatroom. Mast bdrm has trey ceilings, walk in closets. Mast bath has Jetted tub , split closets . Sf approx - not measured. Benton utilities provides water, sewer and electric. Gas is Centerpoint. Trash pick up is SEP!